Is it the truth or are you just joking? You want to start a fire in the Balkans? You'll put the rope around your own neck. You'll lose your swarm of black bombers. We are happy to announce that the following agreement has been reached with the Republic of Austria. 2017 marks the centenary of many First World War tragedies. Among them, the Toplica Uprising, when Serb Chetniks rose up against the Central Powers. Crushed early in the year, it was followed by constant bloodshed, as the Serbian Campaign raged. Atrocities were committed, and thousands and yet thousands gave their life for their Nation, both Serbian and Austrian. A war with few winners. Today, Europe faces a crisis far deeper than the First World War, which was a matter of continental dominance and national survival. Now, with the looming threat of terrorism and foreign cultural and religious dominance, Europe instead faces the complete extinction of its civilization. 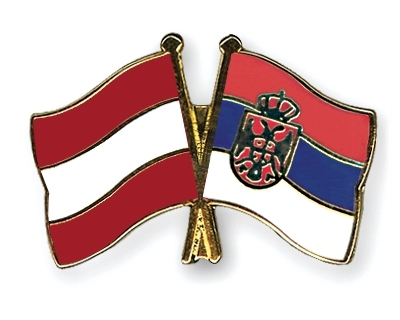 To symbolize European unity in the face of foreign terrorism, the Republic of Austria and the Republic of Serbia have agreed to this agreement. All other issues of the First World War shall go unaddressed for the time being, until the invasion of Europe has ended, to allow time to further heal the wounds of war. ARTICLE I. Tens of thousands of Austrians lay buried on Serbian soil. A joint commission to oversee the protection and documentation of all Austrian-Hungarian WW1-era war graves and any remaining Austrian civilian cemeteries will be created. A primary goal of the commission will be to evaluate and enact the possible repatriation of the identified human remains of Austrian nationals on Serbian soil. All costs will be covered by the Republic of Serbia. ARTICLE II. Several key Serbian historical artefacts currently in Austrian possession will be repatriated for display in museums across Serbia, to ensure that the cultural heritage is showcased, rather than forgotten in archival storage. The items to be returned are the helmet and two swords of the Serb hero Skanderbeg and the golden mantle and three royal crowns of the Nemanjić Dynasty, all held at the Imperial Treasury in Vienna.